A new report out of the Far East alleges that "thousands of students" are being "forced" to build Apple's next iPhone ahead of the product's launch as part of an internship at Foxconn. 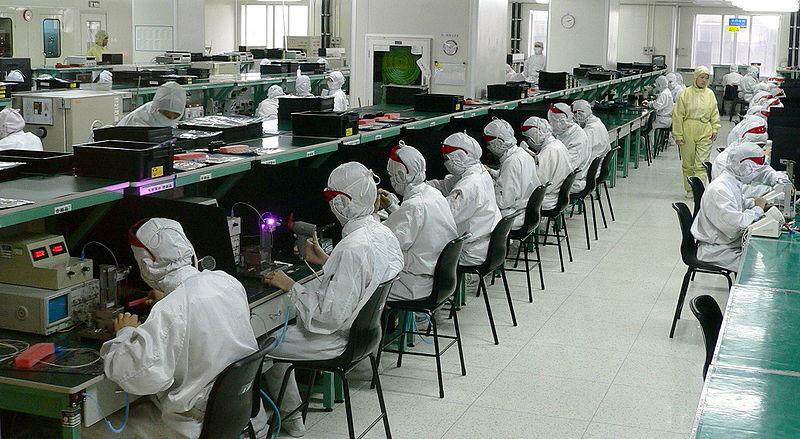 University students from Huai'an in Jiangsu Province were alleged to have been driven to a Foxconn factory after it couldn't find enough workers for production of the "iPhone 5," a report published Thursday by Shanghai Daily claims. It cites an anonymous online post from a computing student at the Hauiyin Institute of Technology that was corroborated by "several other students from at least five colleges." The students indicated they are being "forced" to work 12 hours a day, six days a week, and receive $243.97 U.S. per month in return for their work. The students say the work is part of an internship that allows students to "experience working conditions and promote individual ability." Local schools are alleged to have suspended routine classes at the beginning of the semester to allow students time away for the internships. One student said studies have been "seriously disrupted" by the internships at Foxconn. The report also quoted an unnamed official who said it was "common practice" for local universities to send students to renowned companies and factories to expand their horizons. The students are "encouraged to go to factories to learn more about society," they said. Foxconn workers as captured by Steve Jurvetson, via Wikipedia. But a local lawyer, Wu Dong, believes the internships violate labor and education laws. He believes Foxconn and the schools could be sued over the situation. Thursday's report is the latest in a long history of negative details from Apple's supply chain in the Far East. Foxconn, in particular, has been subject to scrutiny, prompting Apple to commission third-party audits of its facilities by the Fair Labor Association. This week, it was suggested that Apple is likely privately subsidizing wage increases for workers at Foxconn. For years, critics have referred to Foxconn as a "sweatshop" where employees work long hours for little pay.